We left Parkes and headed along the Renshaw McGirr Way to Yeoval. What a lovely little town, and childhood home to A.B. Patterson. We will come back when we have more time, and visit all the statues along the way. The next stop was Wellington to see the site of the last recorded pistol duel in NSW. A plaque is situated in Teamsters Park that states that the duel took place in 1954 between Dr Samuel Curtis and Mr B Sheriden due to the influence of liquor. Researching, this may have been the last duel in Australia. B Sheriden was the local magistrate. The duel was over a women who both men thought was 'theirs'. They had been drinking in the nearby Lion of Waterloo and decided to take pistols to the nearby Teamsters Park to solve the issue. The guns misfired and both men fell to the ground drunk. Not far away is the Lion of Waterloo that is believed to be the oldest licensed hotel west of the Blue Mountains that is still standing. It was built in 1841, not long after the plans for Wellington were drawn up in 1839. The pub and nearby park were used by Cobb & Co as a stop. Wellington was gazetted a town in 1846. We then continued on the Goolma Road to Gulgong for the night. 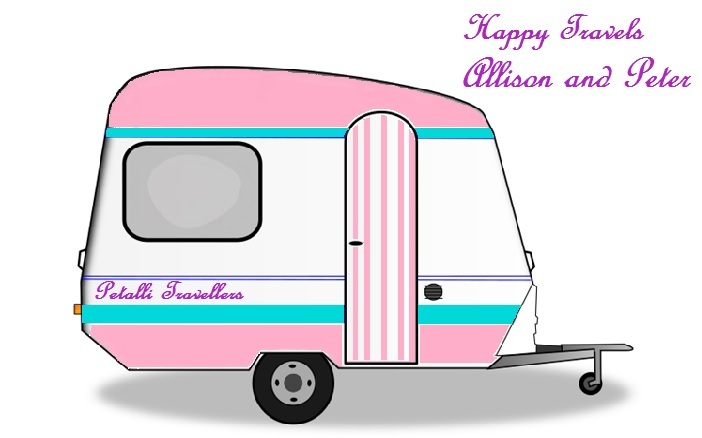 We pulled into Gulgong Showground, where there were already a large number of vans. The cost is $16 per night for power and water. The caretakers Colleen and Steve were lovely and even invited all the campers to happy hour where they provided cheese and snacks we provided our own drinks and chairs. It was a great idea and we met some lovely people. We decided to stay two nights and spend some time in the town the next day looking around. When I read that Gulgong had over 130 heritage-listed buildings I didn't believe it until we walked around the streets. So many interesting and historical buildings. Gulgong is a gold town. Gold was discovered there in 1870 with a large strike at Red Hill. Prior to the gold discovery the Gulgong area was a sheep property. We parked beside the information centre, which is only opened on the weekend, and walked along the main streets, stopping at symbols on the symbol trail, and not knowing what they were. 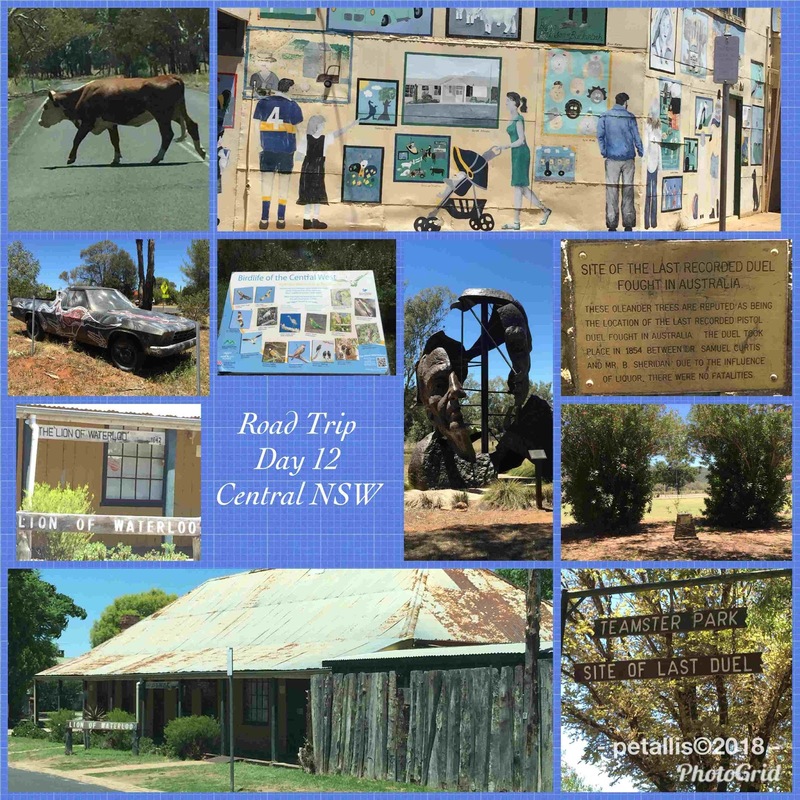 We stopped at a sign which showed a map of a historic walk and planned our trip, when a local pulled up in his car and gave us a copy of a history walking tour of Gulgong. BONUS, although we did need to walk back to see things we didn't know were there LOL. The booklet also had a symbol trail meaning – good to know. The symbol trail are symbols that swagmen and travellers would leave in the dirt for other travellers to let them know is the places were friendly or not. There are about 70 tiles laid out on the streets. Gulgong and Henry Lawson are on the first $10. He lived very near to Gulgong. His father was a builder and Henry helped him build some of the houses in Gulgong. 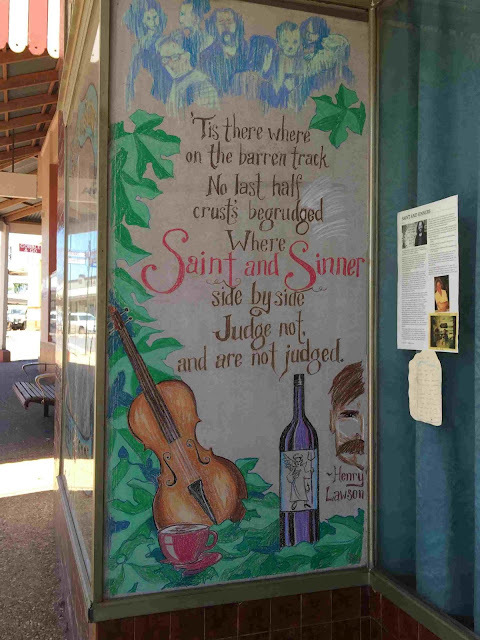 There is a Henry Lawson Discovery Centre in the town, and every June long weekend, Gulgong hosts the Henry Lawson Festival. Henry Lawson was born in Grenfell but went to school between Mudgee and Gulgong. There is also a Chinese Festival in October. The Chinese flocked to gold fields in the 1800's and many gold towns have Chinese heritage. Both festivals would be good to visit. The main Mayne Street has Australia’s oldest operating opera house, the Prince of Wales opened in 1871, and Dame Nellie Melba performed there. There is a replica mine at Red Hill, wher the first gold strike was, that looked interesting but we didn't go there. There is a Pioneer Museum which other campers went to and said it was good. It is located in the old bakery and produce store. 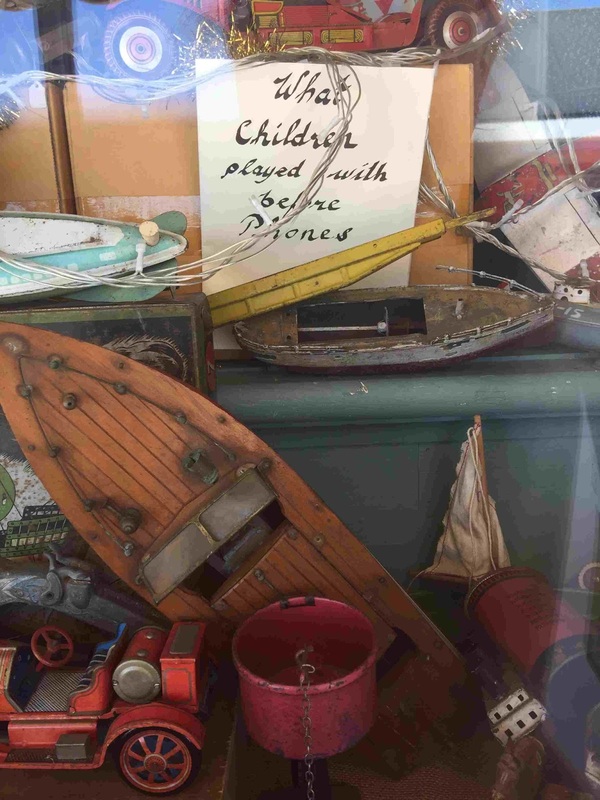 We have been to so many country museums in the past few years that we don't often pay for museums now, although I do like to see the antique sewing machines. 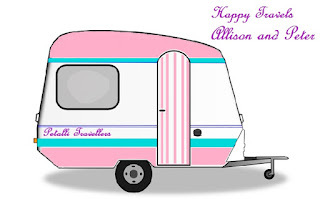 But I guess we will visit next time we are in Gulgong. 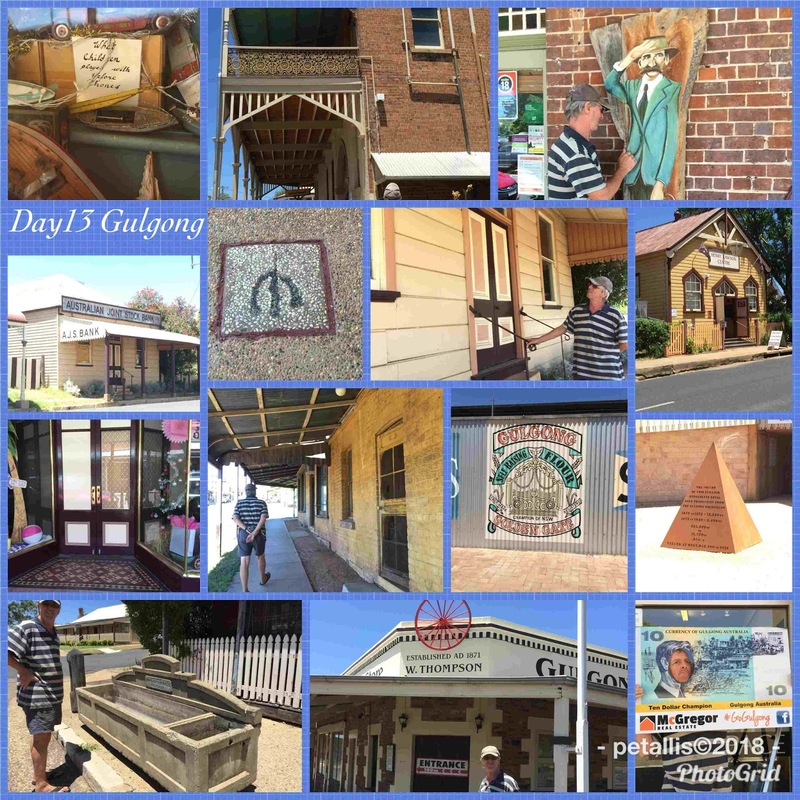 We were very impressed with Gulgong. It was like going back in time. These old heritage towns are so interesting. And the duel was over a woman - what else would it be? I know. I also like going through old cemeteries, they tell so much history on each place.